Secure Data Recovery Services proudly provides Calgary's best data recovery resource through a dedicated office. As Canada's leading data specialists, we offer an extensive set of data recovery services, such as hard drive data recovery, RAID data recovery, data tape migration, and a number of other related services. Calgary is one of Canada's most beautiful cities, and thanks in part to its active agricultural and technology industries; it is the largest metropolitan area in the province of Alberta. Each year, businesses spend millions of dollars on damaged flash drives, solid-state drives, and other hard drive repair services in Calgary. Even if you have a well-maintained backup system, you can lose access to important files in a matter of seconds. Secure Data Recovery Services can help you restore mission-critical data, and our flexible service options help you stay within your budget while avoiding down time. We provide free diagnostics through our Calgary data recovery office. Our teams will analyze your media to identify the exact cause of data loss, at which point we can provide a price quote and turnaround estimate. We offer several turnaround options, including 24/7/365 same-day services, and our unequaled technology allows for extremely fast results even in cases with extensive media damage. Call our customer service team today to get started and get your free quote. In order to restore access to your files, our engineers need to treat physical and logical access issues. We develop an individual approach for every case that we handle, which allows for faster turnaround times and higher success rates. Secure Data Recovery Services maintains a fully outfitted hard drive data recovery laboratory. Our technology includes a certified Class 10 ISO 4 Cleanroom, which protects your media from potentially harmful contamination during repairs, along with a large inventory of media components to recover data. 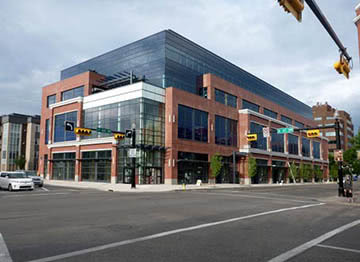 Computer users in Calgary can expect a 96 percent success rate overall. We also take security seriously, and as the first Calgary data recovery provider with SSAE 18 Type II certification, we maintain compliance with the IT security standards that affect Canadian businesses. All of our service options feature the same great security, and our no-recovery, no-charge guarantee removes the financial risk associated with the process of hard drive, media, and RAID data recovery in Calgary. Some of the common symptoms of data loss include unusual noises, error messages, visible electronics damage, disappearing files, and sector issues. If you notice any of these symptoms or if you cannot access your files normally for any reason, shut your system down as soon as possible. Never take risks with damaged data, particularly if you have no way of re-creating your files. By keeping your system turned off, you will improve your chances of a full recovery by minimizing the damage to your media and data. Contact a professional data recovery company as soon as possible to discuss your options. Look for a provider with adequate security controls and advanced file repair technology. Canadian businesses need a safe, dependable, and local service provider that offers data recovery and hard drive repairs. As a national leader in data recovery services, we take pride in our talented engineering teams and our excellent list of third-party security certifications. We invest heavily in our laboratory technology, and our 96 percent success rate is a testament to our advanced capabilities. We provide the best resources for data recovery and media repair. To set up a free evaluation for your device or for more information, call our 24/7 customer service team today.